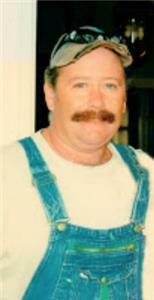 George Woods Wardlaw, 54, of LaFayette, passed away on Wednesday, August 8, 2018. He was born November 14, 1963, the son of the late Robert “Guffy” Wardlaw III, and Martha Woods Wardlaw in LaFayette, Ga. George spent most of his working career with the Coca-Cola Bottling Co. He loved life, his friends and family, and was an avid and dedicated motorcycle enthusiast. He is survived by his sister, Kelly Wardlaw Lautner of Asheville, N.C.; brother, Robert (Stephanie) Wardlaw of LaFayette; his love and companion, Lisa Cronan of LaFayette and her children, Melinda (Warren) Shipley, Cassie (Gary) Taylor, Brandon (Alex) Brown and eight grandchildren; and several nieces and nephews. A funeral service will be held at 2 p.m. on Saturday, Aug. 11, in the Wilbanks Memorial Chapel with Pastor Chad Maxwell and brother, Robert Wardlaw officiating. Interment will be in LaFayette City Cemetery. Pallbearers are Brandon Brown, Jesse Wardlaw, Chris Lautner, Tregan Woody, Eddie Goins, and Derrick Daniels. Honorary pallbearers are Keith Martin, Chuck Clements, and Jack Carrell. Visitation will be held Saturday from 11 a.m. until hour of service at the funeral home.